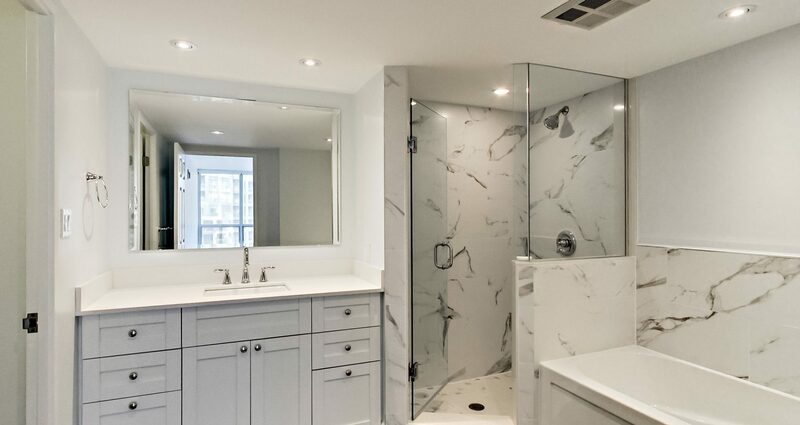 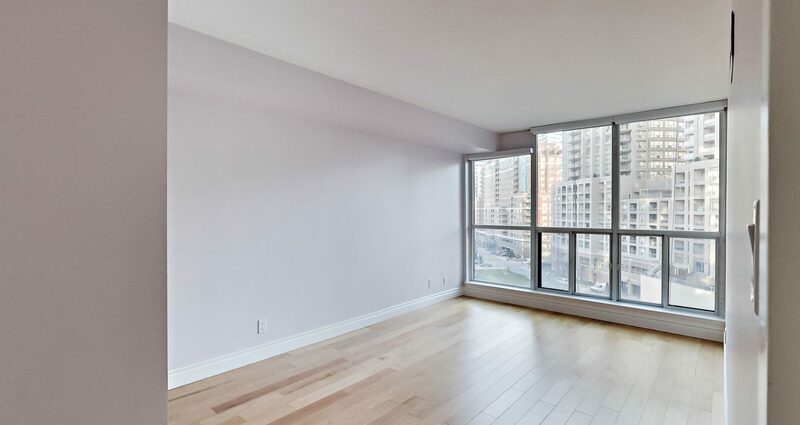 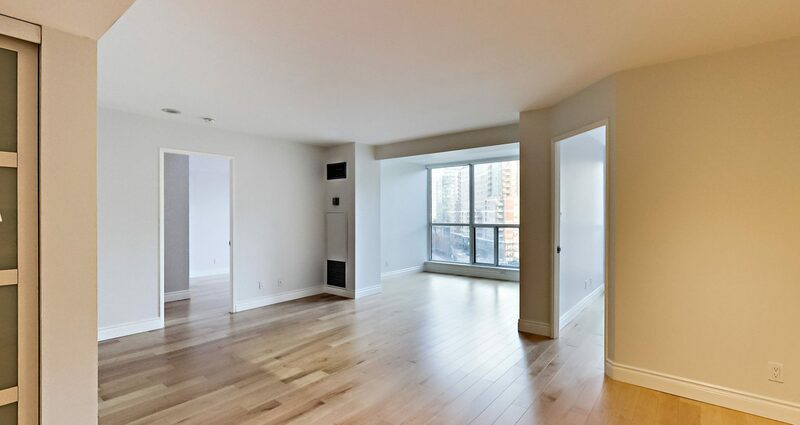 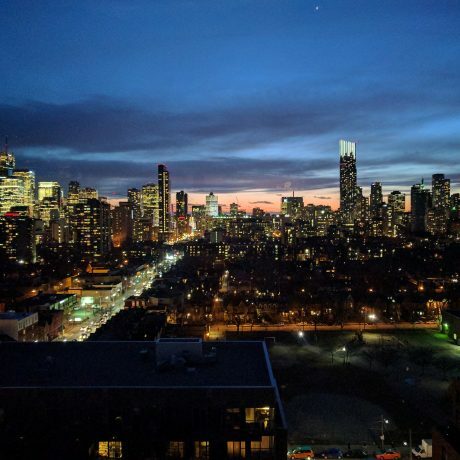 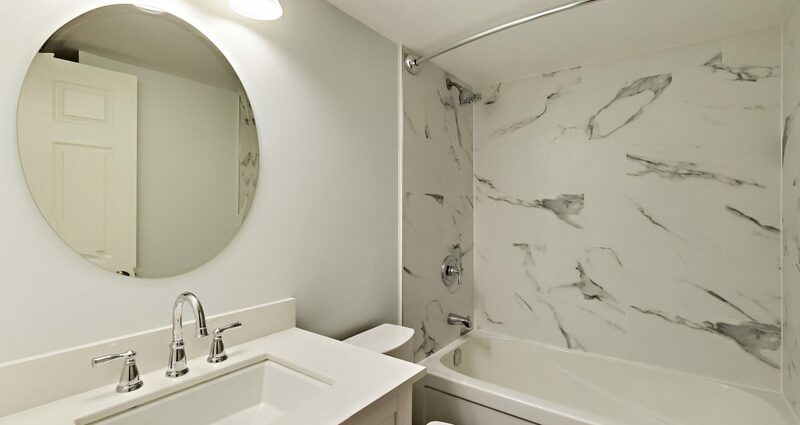 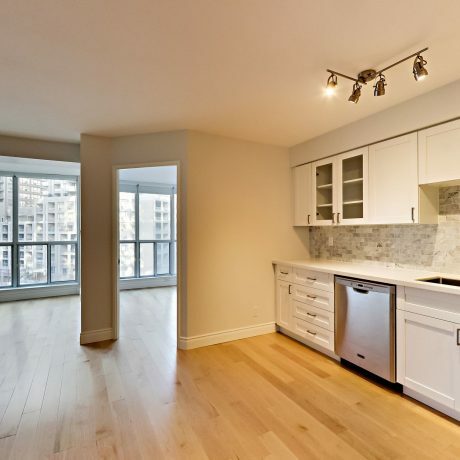 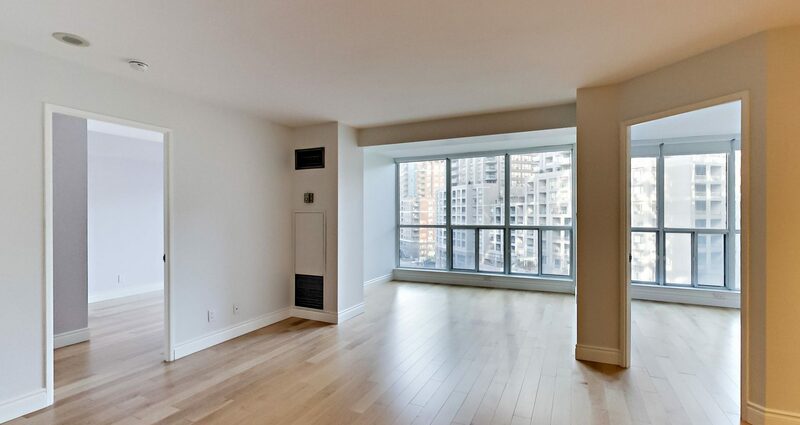 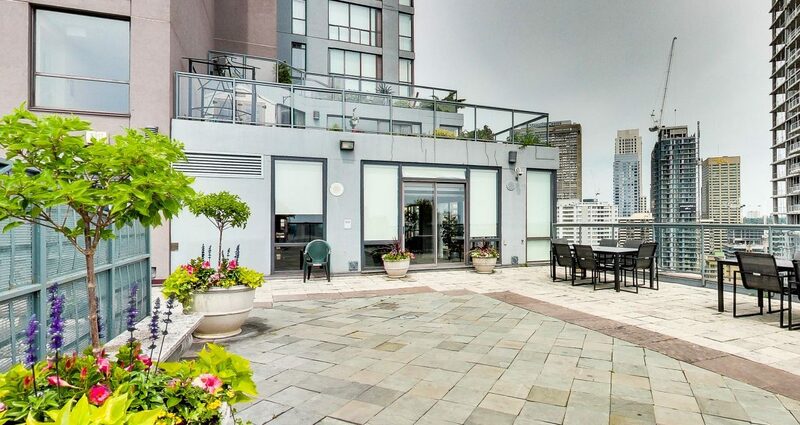 Simply perfect in finishes, location and layout, this beautifully renovated unit is over 1000sf and flooded with light from the southwest facing floor-to-ceiling windows. 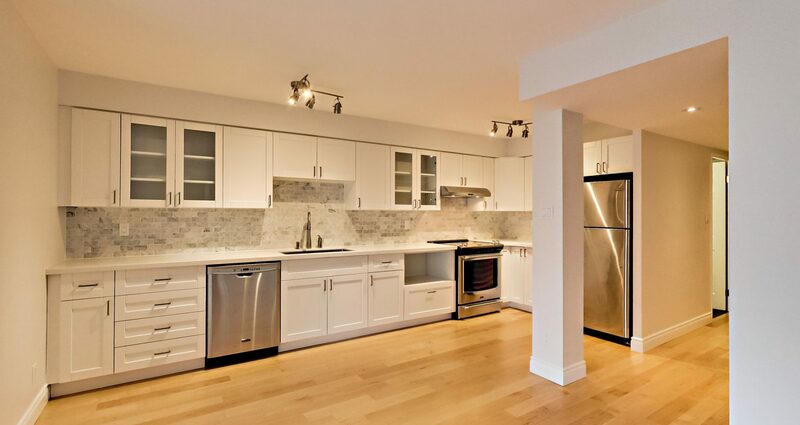 Brilliantly reconfigured to create an open and inviting living space with a gorgeous kitchen. 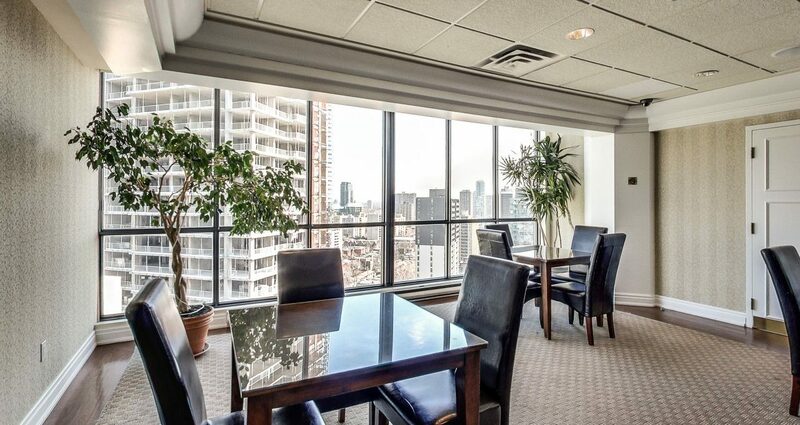 The den offers versatile space that could be a sunny office or dining room. 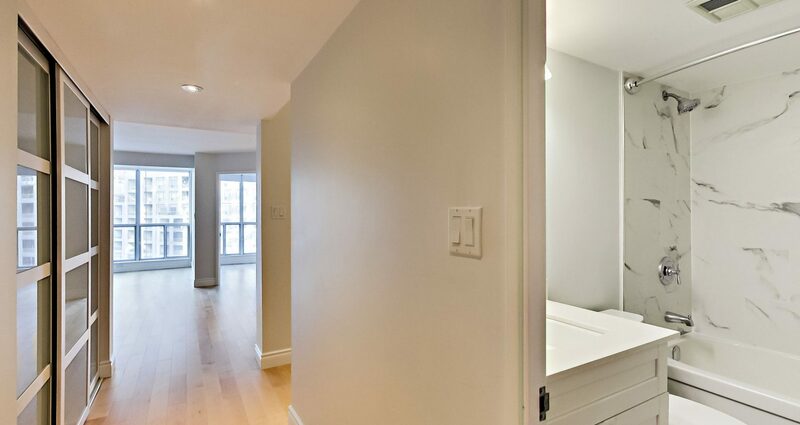 The king-sized master bedroom is a true retreat with a large ensuite bathroom. 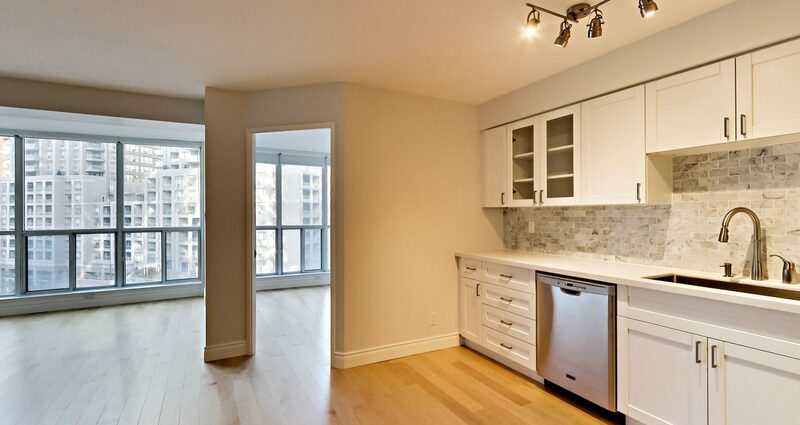 Hardwood floors throughout, designer paint colours and plenty of storage. 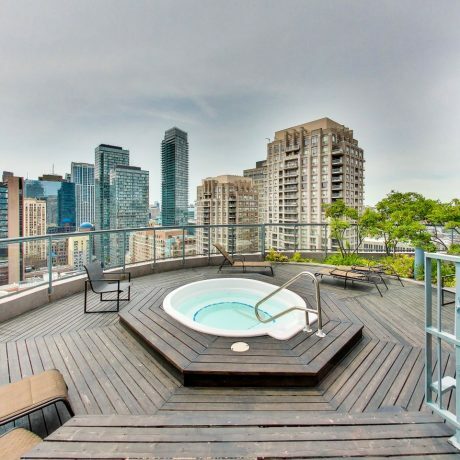 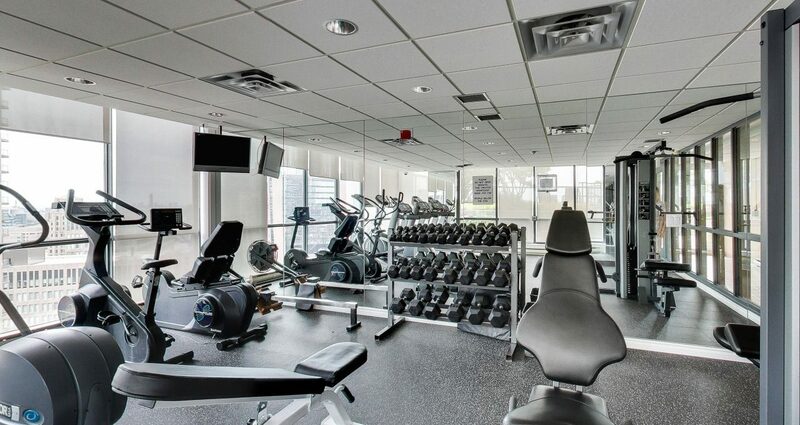 Enjoy a full complement of amenities including an on-site fitness centre, rooftop terrace with hot tub and the luxury of a 24-hour concierge. 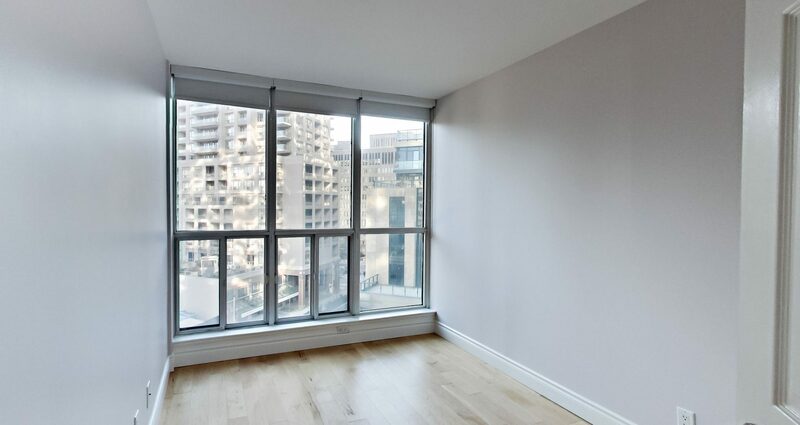 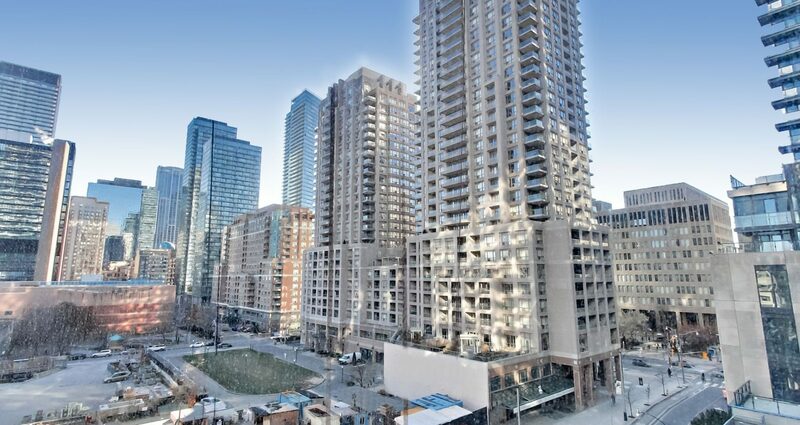 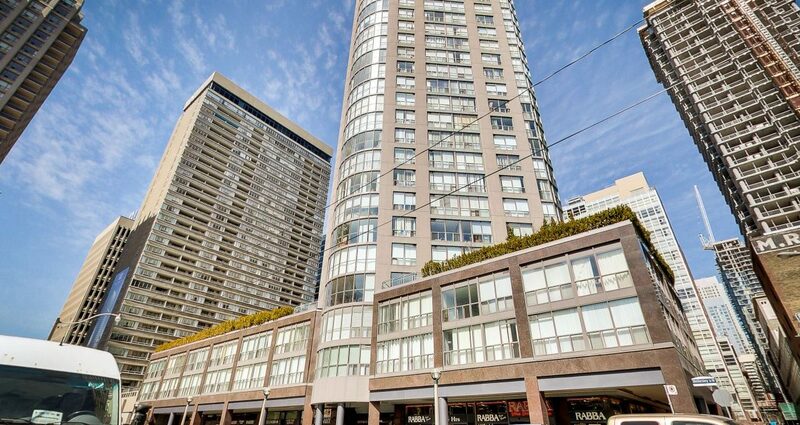 Walk to the Financial District, Yorkville, Queen’s Park, hospitals, University of Toronto and steps to the subway. 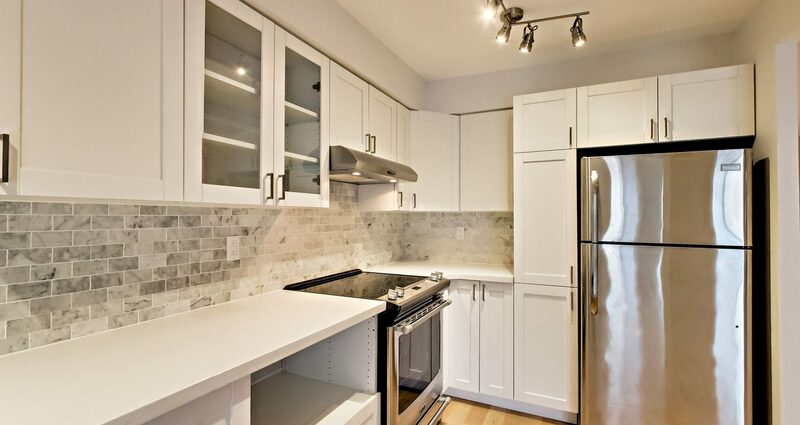 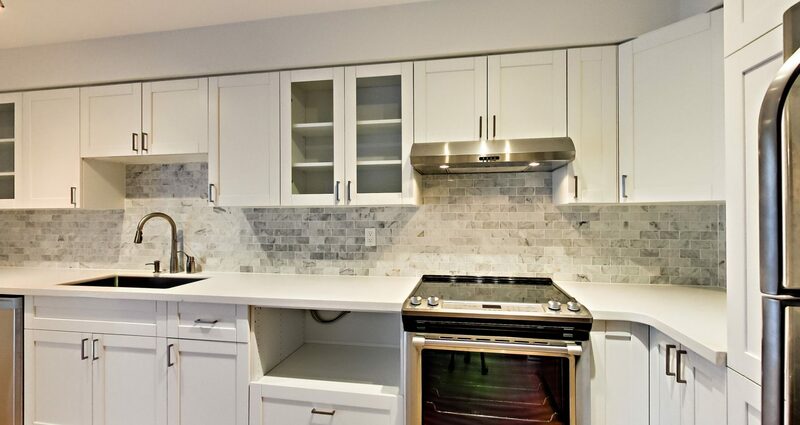 Includes stainless steel fridge, stove, microwave, range hood, dishwasher. 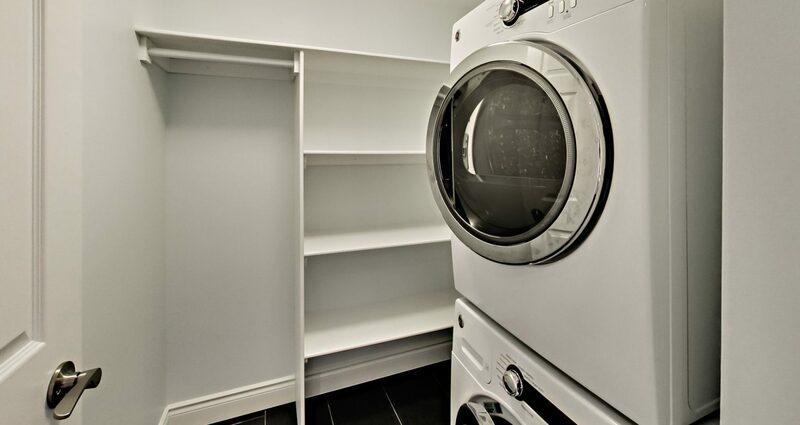 Stacked washer and dryer and built-in shelves in laundry room. 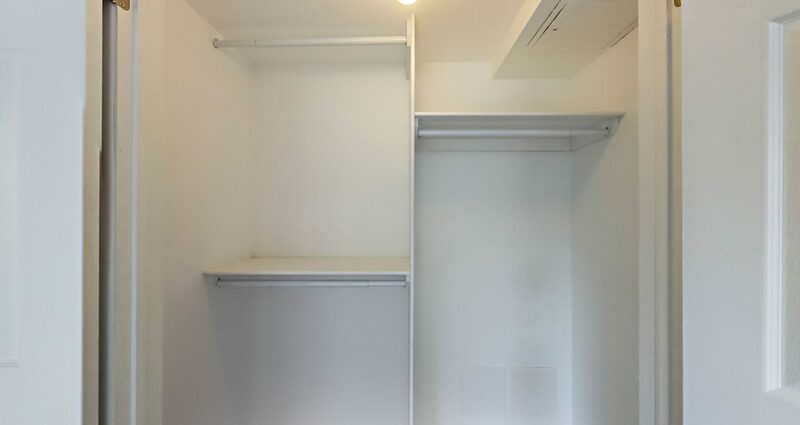 Closet organizer in master bedroom. 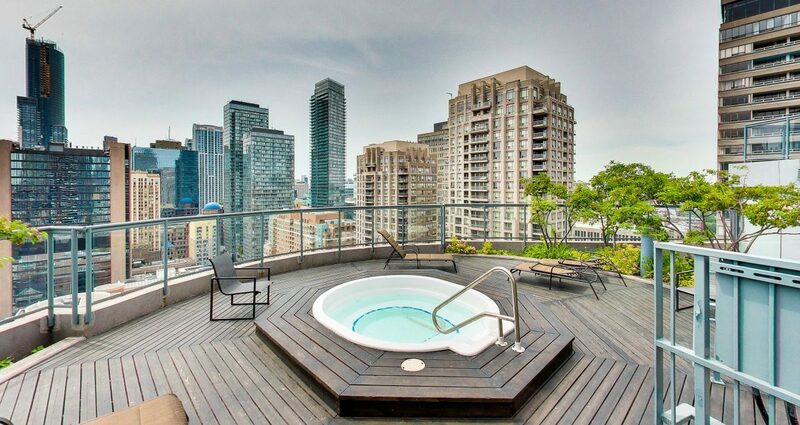 All inclusive rent with hydro, heat, cac, cable and one parking spot.